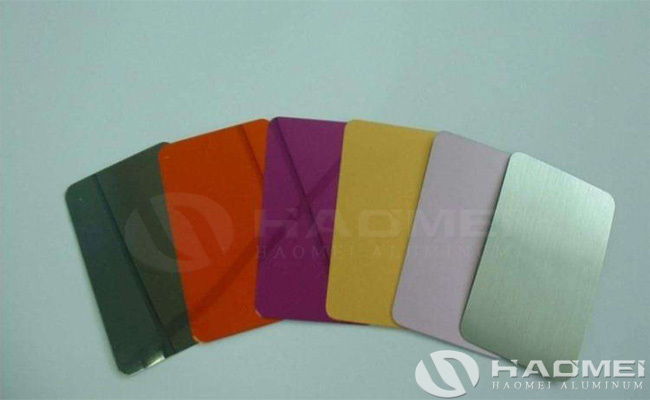 The anodized aluminium sheet alloy is widely used in household appliance panels because of its light texture, easy processing, high durability, wide application range, good decorative effect and rich color. Household appliance manufacturers use aluminum sheet alloys to be colored and oxidized to produce various decorative sheets as decorative materials. In addition, the anodized aluminum sheet can be used at the curtain wall decoration, some of the anodized aluminum can be also brushed, that is the anodized brushed aluminum sheet with many color and better decoration effect. 10, The environmental protection level reaches the food level.